It’s 2018 and it’s time to really focus on taking your blog to the next level so raise your hand if you want to take your blog + biz to the next level this year. If you raised your hand then this post is for you! Throughout 2017 I spent a lot of time focusing on and learning more about Pinterest and to my surprise, it grew my blog traffic, income, and audience. I went from making $0 a month from my blog to close to $2000 every month and most of my income comes right from pinning on Pinterest. Whattttttt?!! Yes, you heard it right, ha! Most of my income comes right from pinning on Pinterest. Because of that, I want to show you how to do the same. Did you know that you can be successful on Pinterest no matter what your niche is, even if you don’t have a huge following? Yes! You can totally can. For example, one of my most repinned pins was actually repinned by someone who didn’t have a huge following. The example above is a Pinterest pin that I created last year. At the time I took the screenshot of this pin it had gone viral. It was repinned over 3 thousand times, but ironically it was due to a repin by someone that had only 198 followers. So, that tells me that you don’t need a ton of followers to get a ton of repins on Pinterest. Currently, in 2018 that same pin has been repinned over 13k thousand times. #WHOA!!! See example below. 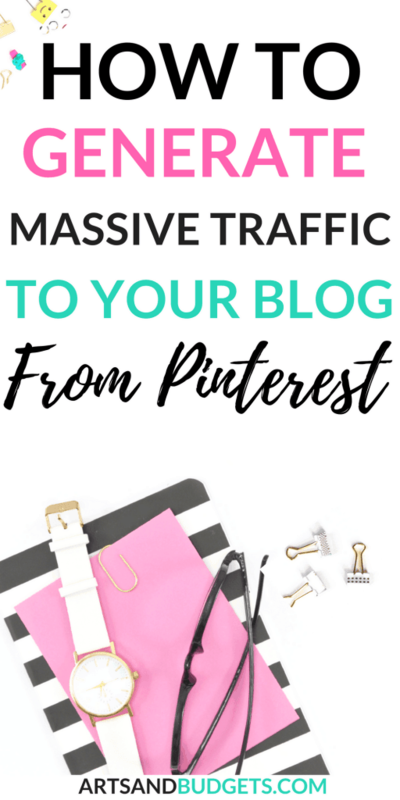 So, this post will share my top tips to massively gain Pinterest success and grow your traffic rapidly from the platform. OK! One of the main things I did to build my traffic to my site from Pinterest was treated my Pinterest account like a business. So, I always suggest converting a personal account to a business account if you want to take your Pinterest game to the next level. You can convert your personal to a business account by clicking here. Converting to a business account has a lot of great features such as rich pins and Pinterest analytics. 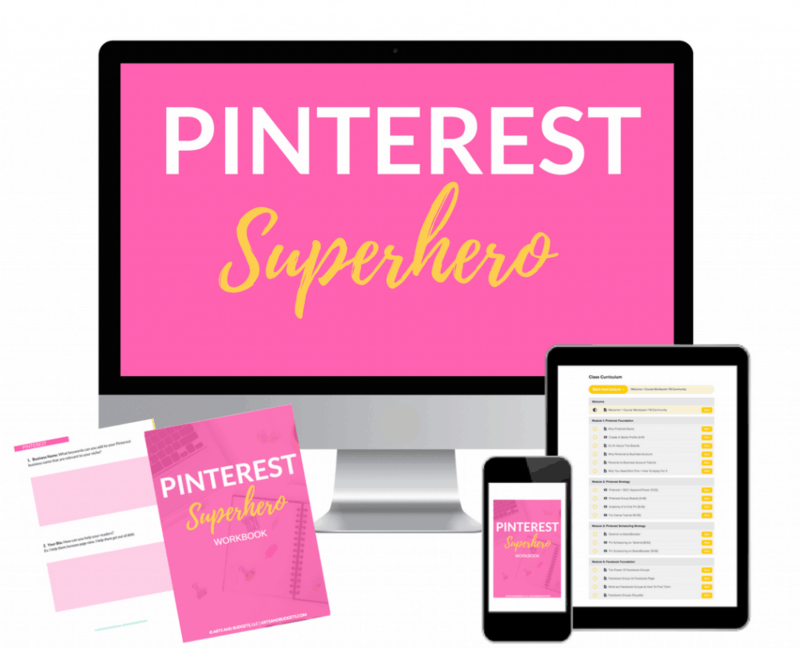 If you really want to grow your account you will definitely need both the rich pin feature and the Pinterest analytic tool. I currently use the Pinterest analytics tool to see which pins are performing the best on my account and to see my grow on the platform. After you convert your personal account to a business then you are ready for business on Pinterest. It’s true that having the right information in your bio is great for generating traffic back to your site but it’s also a great place to let your audience know more about what you do. So, let your audience know who you can help and how you can help them at the beginning of your bio. Also, put a call to action at the end of your bio that links back to your website. This method will help grow your email list and grow your traffic right using Pinterest. Elna from Twins Mommy does a great job of letting her audience know who she can help and how she can help them in her Pinterest bio. She also has a call to action at the end of the bio which can send readers back to her site. Another important place I focused on to take my Pinterest account to the next level was my business name on the platform. Make sure your Pinterest business name stands out. I currently have specific keywords in my business name to help with ranking on the site. This is key because it lets the users know my name as well as how I can help them. 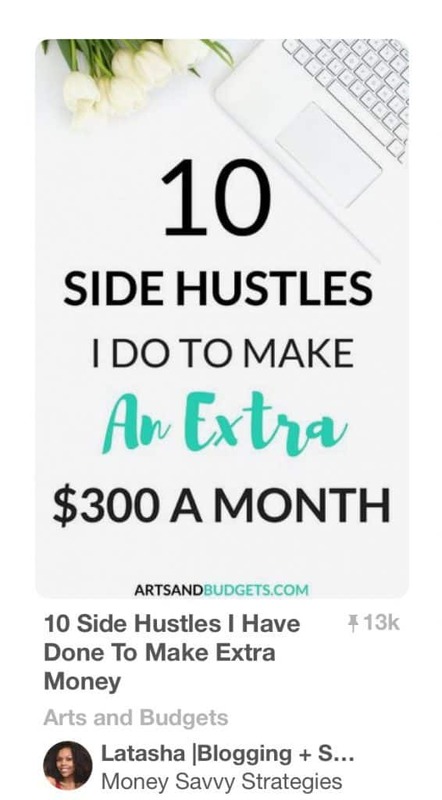 I also have a higher chance to come up in the Pinterest search feed if someone searches for: Blogging, Social Media, and Side Hustle tips. Using this method helps with my profile ranking in the Pinterest search. For example, if someone searches for one of the keywords in my business name there is a high chance my profile will pop up. In the example below I did a Pinterest search for one of the keywords I have in my business name, “social media”, and my profile came up in the Pinterest search for that key. One of the fastest ways to generate traffic from Pinterest is by pinning high-quality pins throughout the day. A high-quality pin includes your brand fonts, colors, logo and/or website. It should also include a catchy title that will entice users to click on it. Below are examples of Pinterest pins that I created that did a great job and got a lot of repins and saves. Using the same fonts and colors for your pin images can help with creating a strong brand. Also, putting your website name on the pin images helps with brand consistency. So, I normally use the same brand colors and fonts that I use for my brand on my actual website to help with consistency of my pins. I also make sure to use catchy titles that focus on how the posts can help my readers achieve their goals such as “How to start a Profitable blog” or “How to double your Instagram engagement”. If you are looking for a free tool to help with creating pin and blog titles check out CoSchedule headline analyzer! It’s a free tool you can use to help develop strong blog post titles. It also gives you a score to help analysis your titles and strengthens them. Another great way to boost your traffic using Pinterest is by pinning multiple times throughout the day. In order to achieve this, I normally create 2 different images and titles for each of my blog posts so that I can maximize each posts potential. Currently, I use Canva to create all my Pinterest graphics and it saves me a ton of time. Below are two Pinterest pins that I use for my post about generating traffic to a site from Facebook Groups. As you can see they look slightly different but still have my blog colors, fonts, and name branding. This method helps me pin multiple times on group boards daily. To help with scheduling my pins throughout the day on Pinterest I use Tailwind for its analytics tools and Boardbooster for it’s looping feature. Lastly, I manually pin my best-performing pins daily. Does the group board fit in with my niche? How many contributors does the group board have? Does the group board get a lot of repins? Are the contributors active on the group board? 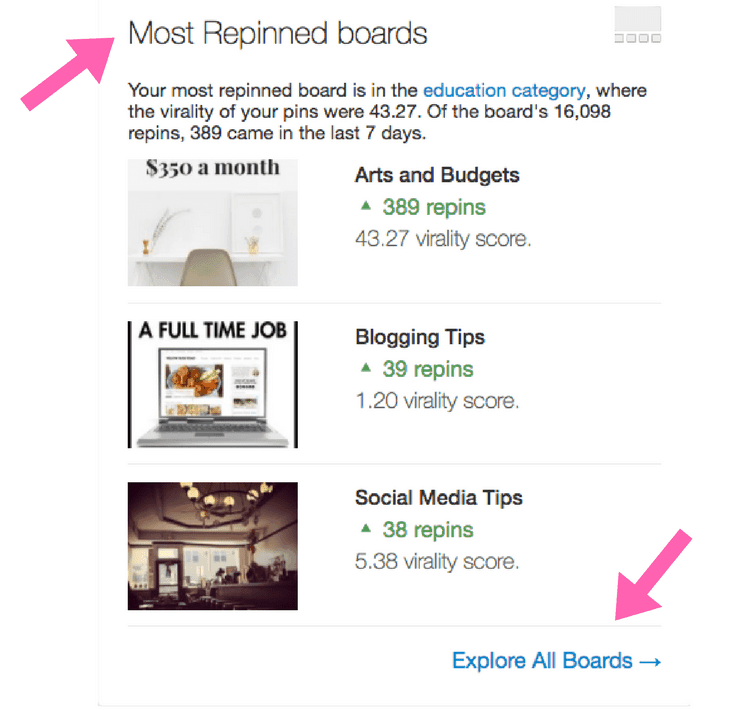 Does the board contributors pin random blog topics that don’t’ fit in with my niche? Keeping those questions in mind will help you pick out the best boards for your blog +biz. What I have noticed with my group boards is that the random pin all things group boards don’t perform as well as my niche down boards such as “Blogging Only Tips & resources” or “ Ways To Make Extra Money”. Both of those boards are very niche down and only allow pins that are about those topics. So, I normally pin most of my content to my best-performing boards. From my Tailwind analytics, most of my best-performing boards are the niche down boards that I am apart of. To check how your boards are performing you can use the Tailwind app. Below are instructions on how to find your top performing boards using Tailwind! On Tailwindapp.com simply go to your homepage and then click on either “Most Repinned Boards” or “Explore All Boards” which should be on the right-hand side. After that, you will be shown all your boards with the options to view the pins, followers, repins, virality score and engagement score. To view the top performing boards for each category click on the “Total” option. You will be able to see the top performing boards for each category by clicking on the up symbol option and you will be able to view the lower performing boards by clicking on the down symbol option. In the example below I clicked on the repin section to find out my top performing boards with the highest repin rate and to my surprise, my Arts and Budgets board is one of the higher performing boards on my profile. To find out the top performing boards listed below, I made sure to click on the UP symbol and all the top repin boards populated on the right-hand side. What I also noticed was that most of my top repin boards where also niche down boards with focus topics. Pingroupie.com: Simply go to Pingroupie.com and type in the focus keywords of boards you like to join in the search box such as “Blogging Tips” and “Personal Finance”. After that, a list of boards will populate for you to request to join. 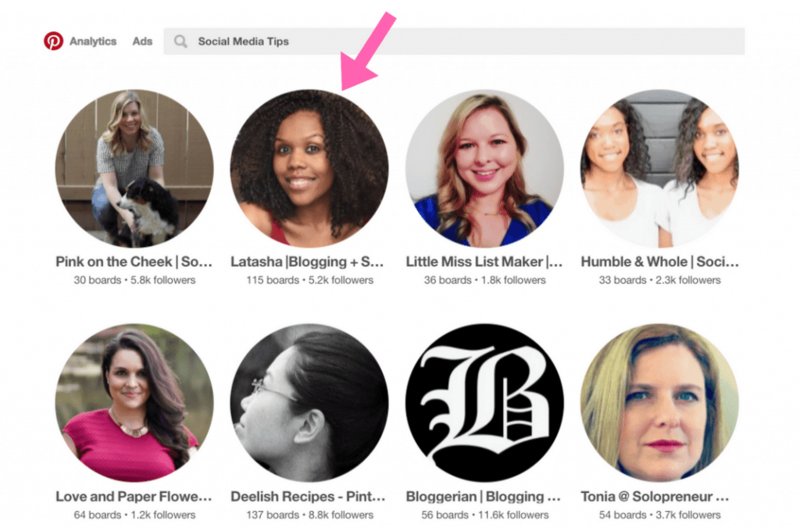 On other bloggers Pinterest profiles: To find relevant group boards on other blogger’s Pinterest profiles, simply look for the boards with multiple faces on the left side as seen below. When you click on the board go to the board’s bio to see how to request to join the board. Normally the admin(s) will put instructions on how to join the group board in the board’s bio. So, there you have it! Over 5 ways to take your Pinterest profile to the next level! What are some ways you use Pinterest to grow your blog + biz? 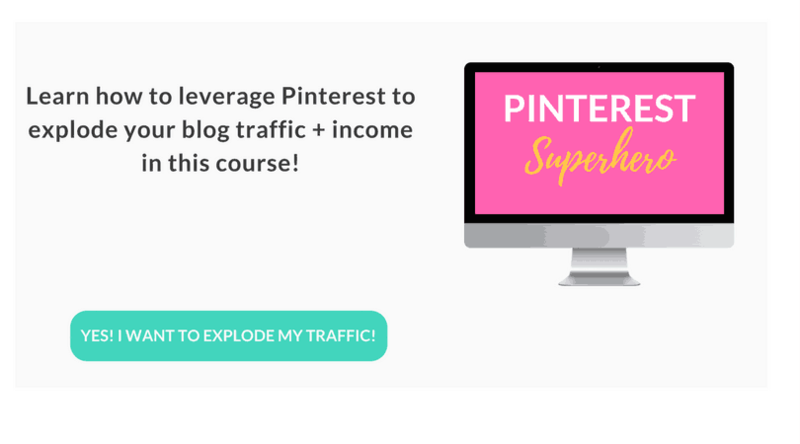 If you are looking to ready dive in and explode your blog traffic +income check out my course, Pinterest Superhero! All such great tips! I really have been wanting to try Tailwind so I love that you use that and other strategies I am currently using! Gives me so much hope that I will be able to grow more with Pinterst! These are great actionable steps to grow Pinterest. I can’t wait to take a deeper dive into your other posts. This is so incredibly helpful! Food blogging is an overcrowded business and I am always looking for great ways to make mine stand out. Hoping this will help generate more traffic and take it to the next level. Wow! My mind is spinning. You have so much great information, it will take some time to take it all in. Thank you so much for all of this information. Such great tips!!! I’ve been really working on my Pinterest gam recently and it is picking up, but I’m always looking for extra ideas to up it even more! Great tips! I tend to do all my pinning in one block. I’ll try spreading it out throughout the day. Thanks! Hi Latasha, great stuff! When you say repin throughout the day, does one have to repin their own pins everyday to their boards. Doing that means the pins will appear multiple times on the board. Is that correct? Oh! Yes, that means that the pins will appear multiple times on the boards. This method helps with getting your pins seen multiple times throughout the week to old and new pinners. Thanks a lot. It really helps me to see a new light to blogging. It really isn’t easy to make it at first, a step by step process is needed and Pinterest just helps in that, thanks again. Thanks a ton for stopping by, Andy!